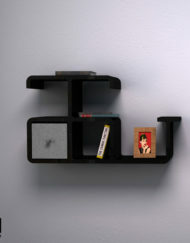 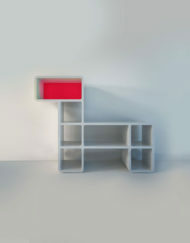 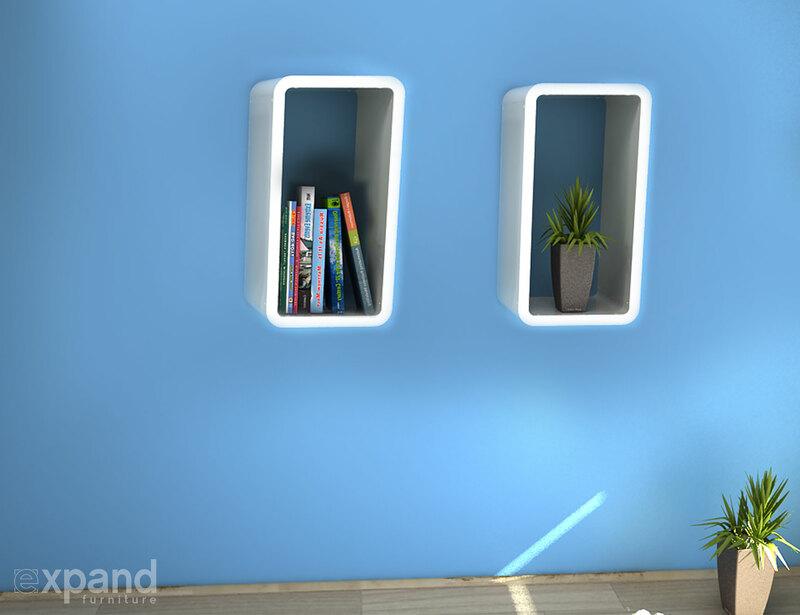 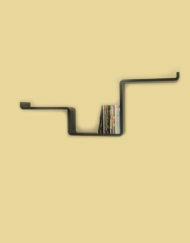 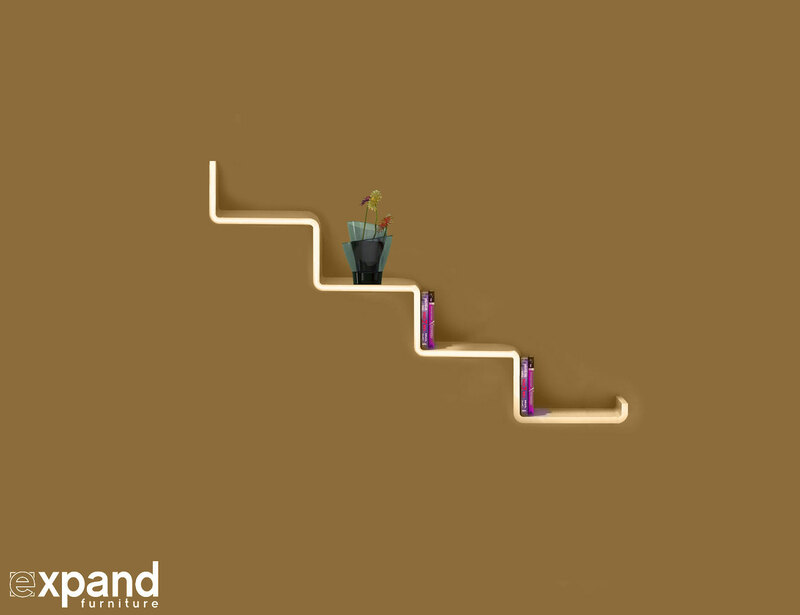 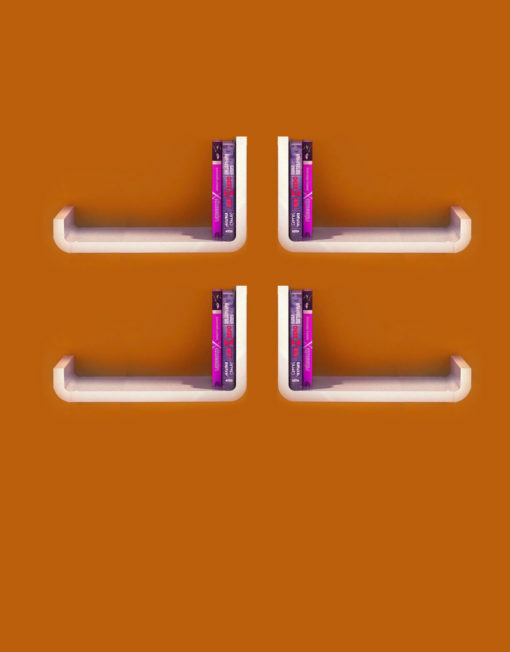 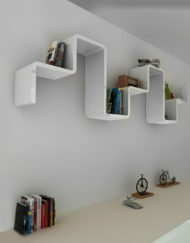 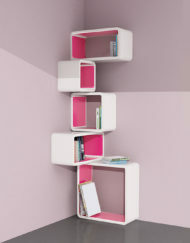 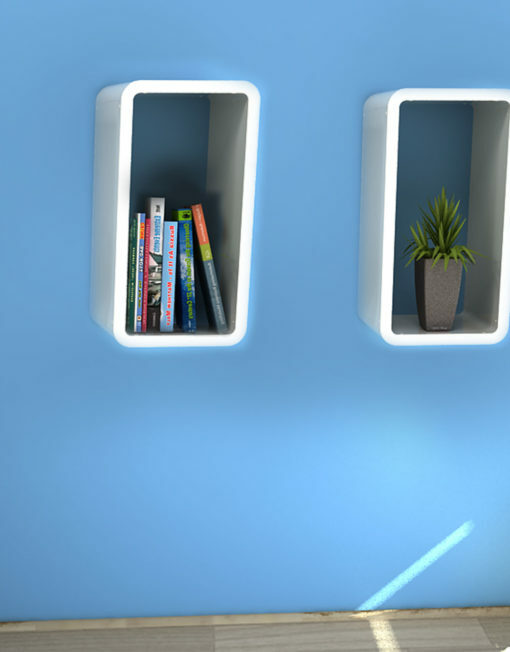 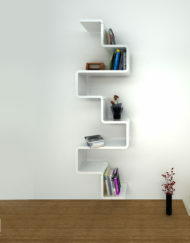 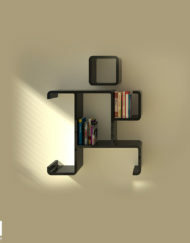 The 2147×2 Rectangular modular shelves truly offers endless possibilities. 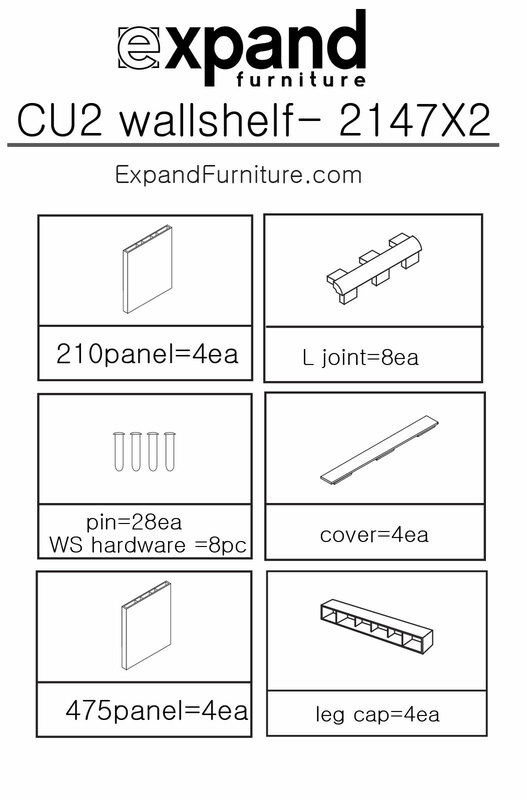 Whether you mount it on the wall or use at storage on the ground it has so many different assembly options you are going to want to try every single one of them. 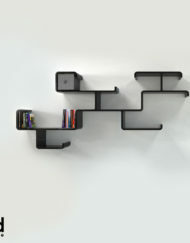 We certainly did and this is what we came up with: with the fabulous 2147×2 decorative modular shelf system you can create two rectangles to be used as shelves on the wall or the floor, a stair­ like shelf, two smaller stair-shaped shelves, several monitor risers, half­ rectangular shelves, L­-shaped shelves, the Note modular shelf, W-­shelves, and a mountain like rugged shelf. 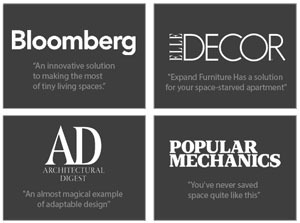 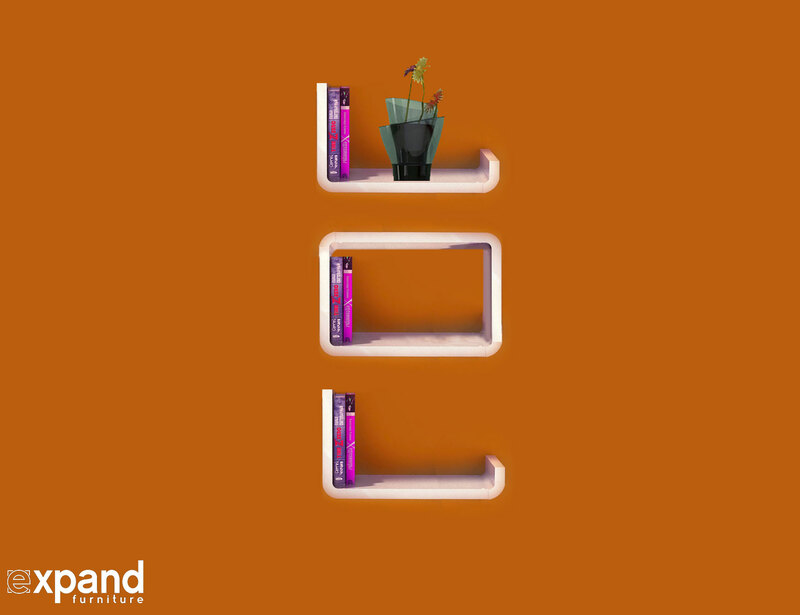 Because we want you to be able to enjoy all the possibilities, construction and deconstruction of the modular shelf designs is super easy. 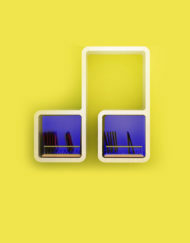 The pieces fit together and snap into each other, secured by sturdy pins and then can be wall­ mounted or placed on the floor, the windowsill, or wherever they serve you best. 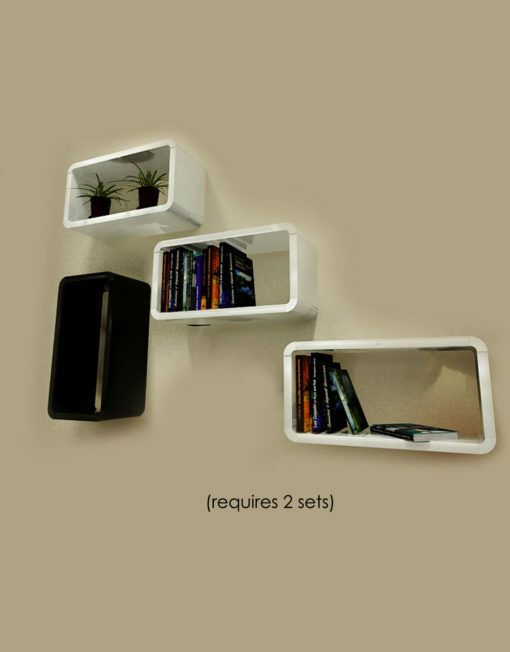 Waterproof, stain resistant, and highly durable they can be purchased in a glossy white or black finish to ensure maximum compatibility with your current home decor. 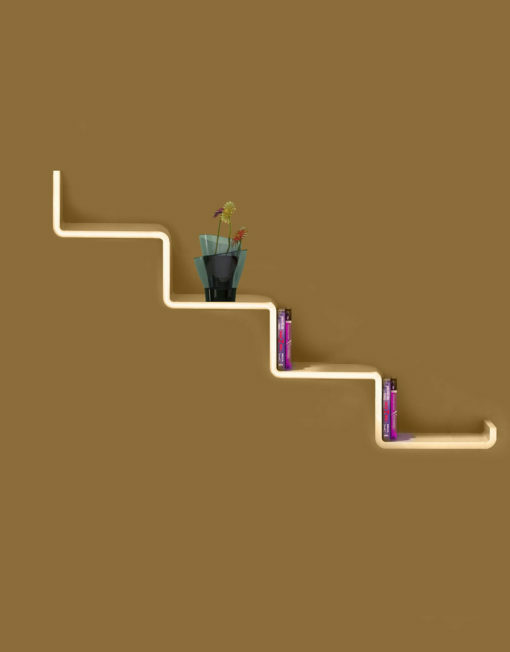 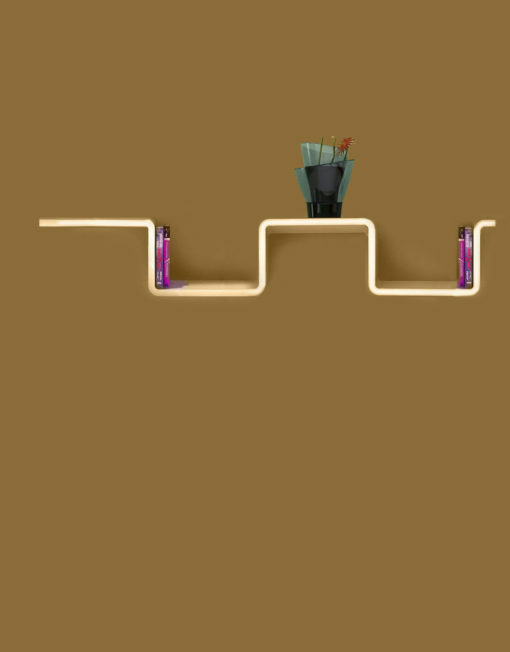 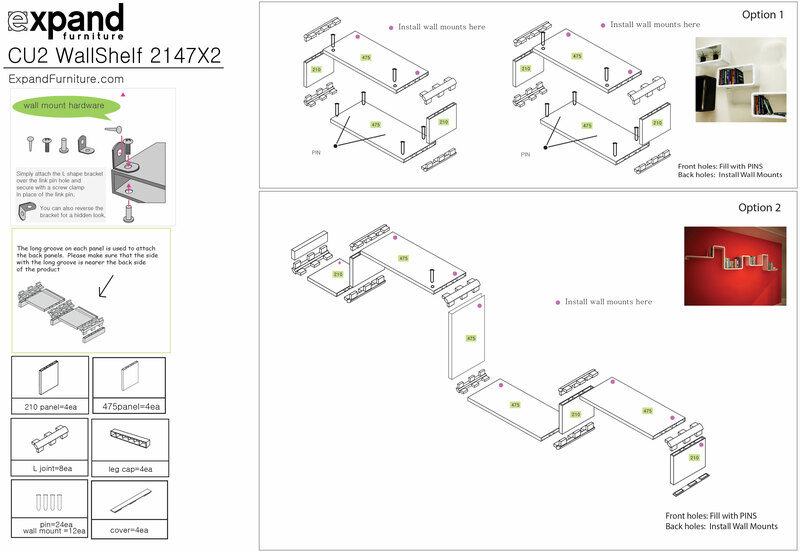 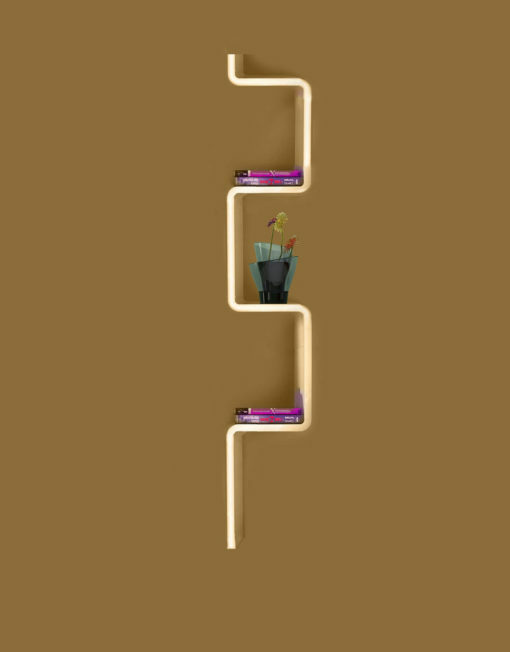 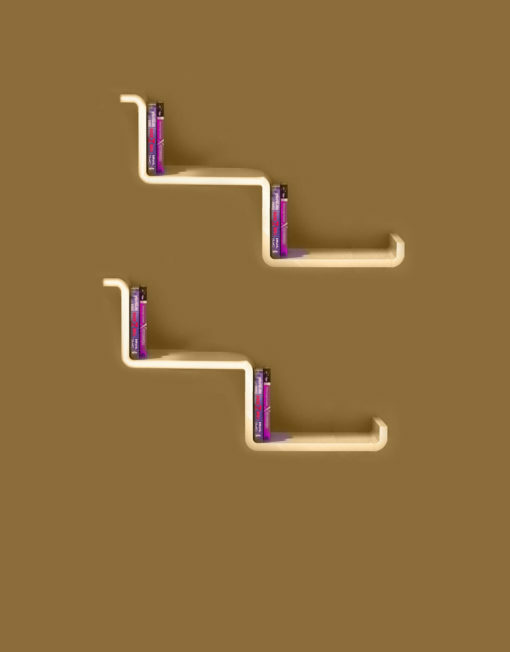 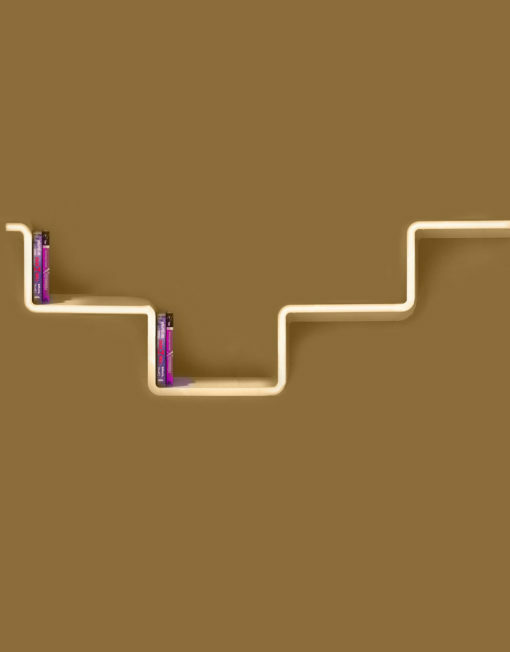 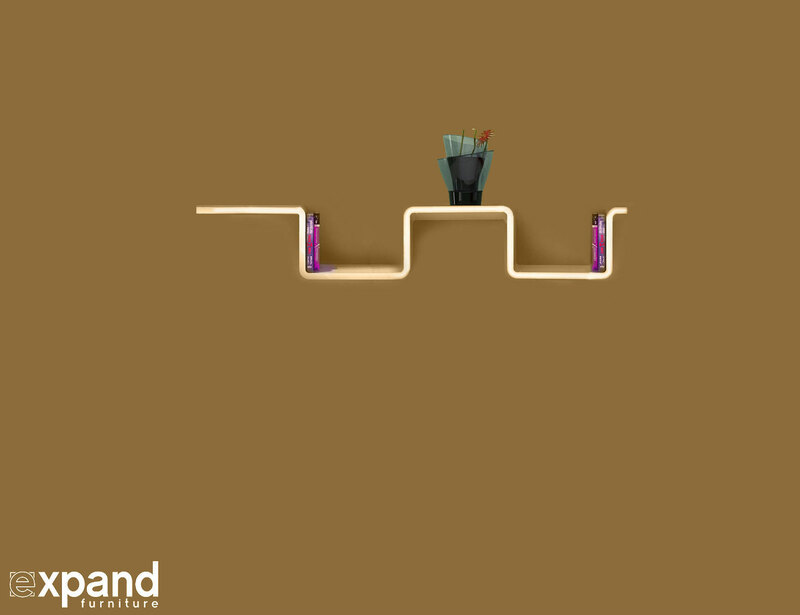 The 2147×2 is a shelf set that allows for endless possibilities in terms of designing and constructing a shelf (or several) that suit your unique needs and correspond with your personal style. 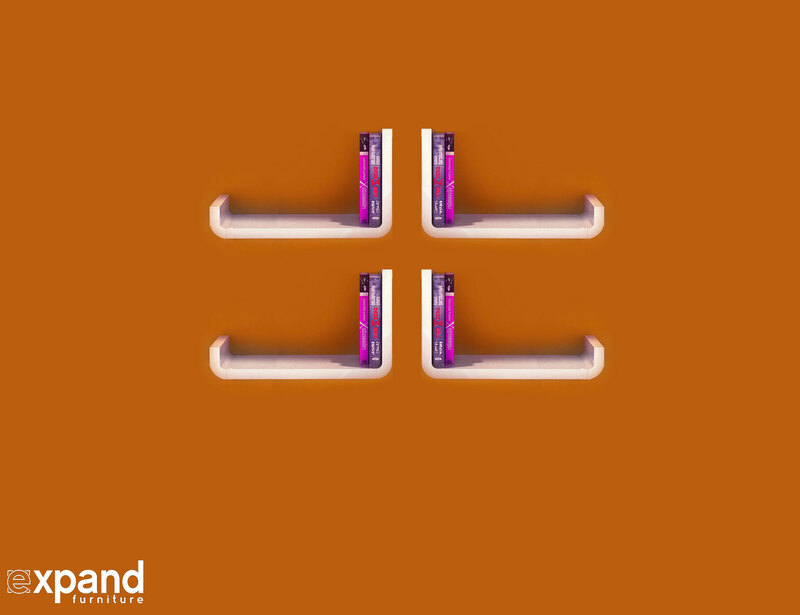 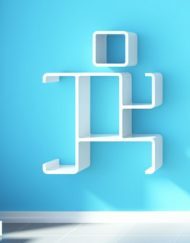 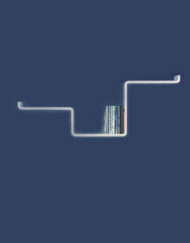 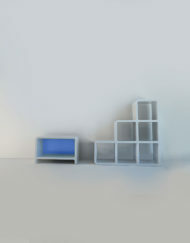 To ensure durability, we have created the shelves of extremely durable, and may we add, non­toxic plastic. 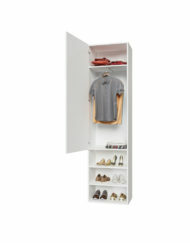 Perfect for any room in your residence, these modular storage miracles can take anything you throw at or put on them. 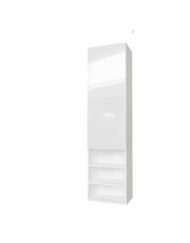 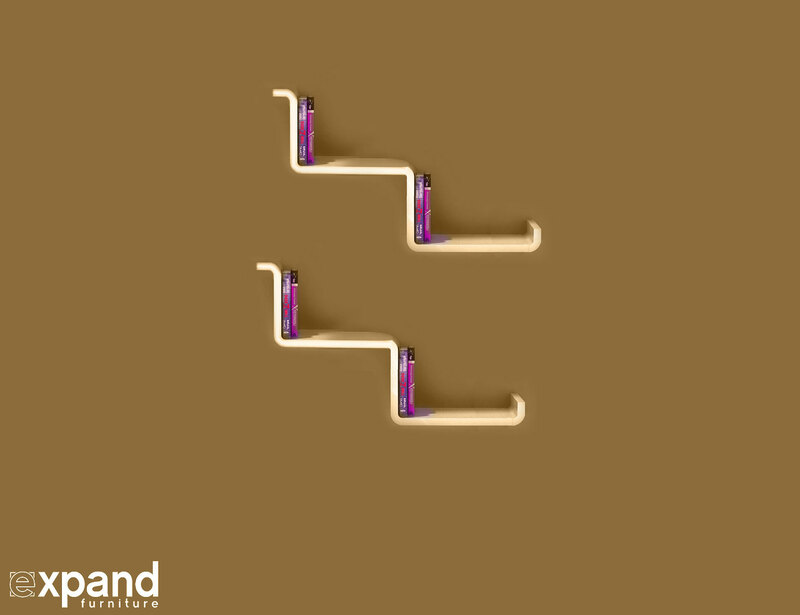 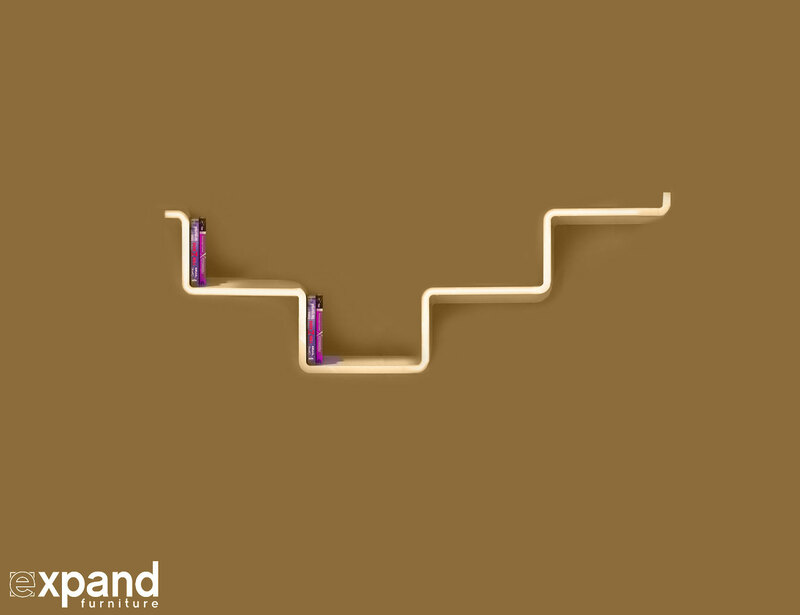 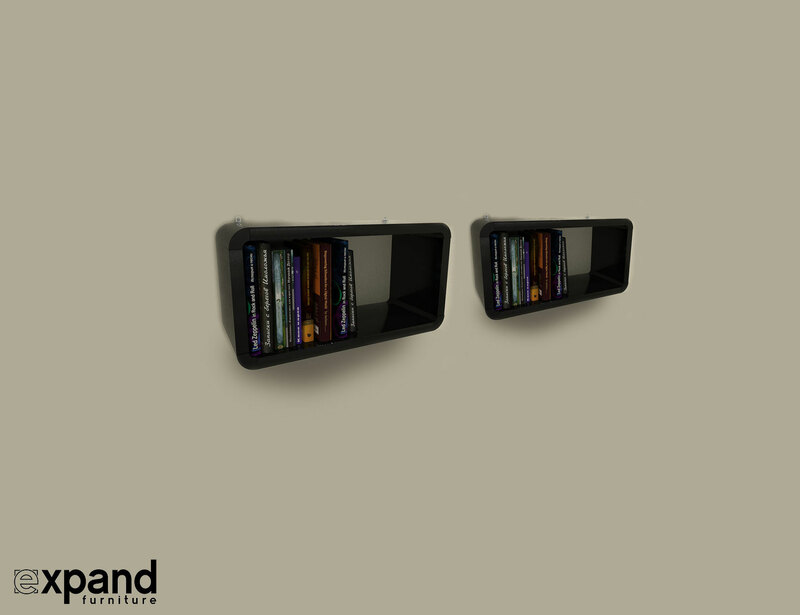 Books, magazines, your CD or stamp collection, opera albums, comic books; whatever you can think of needing a shelving system for, the modular shelf designs by Expand deliver. 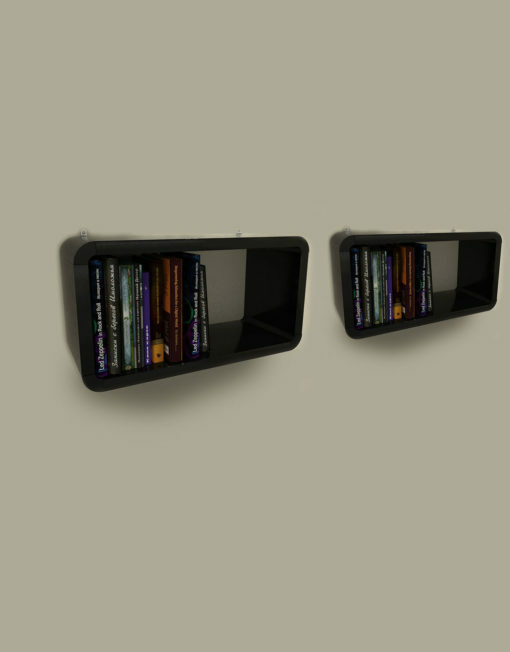 They work extremely well in the living room as attractive above the couch shelving components, or above the TV (for which we have the fabulous slim line TV stands), in your study or home office for documents and file folder, in your kitchen to hold your cookbook collection, or in the bathroom for toiletries, towels and more. 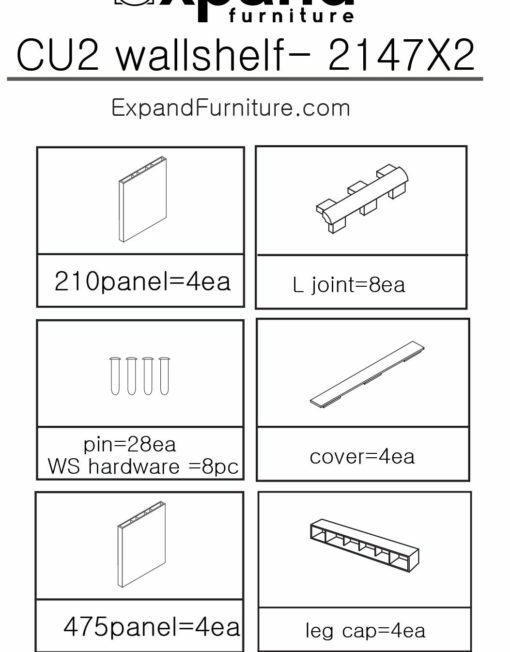 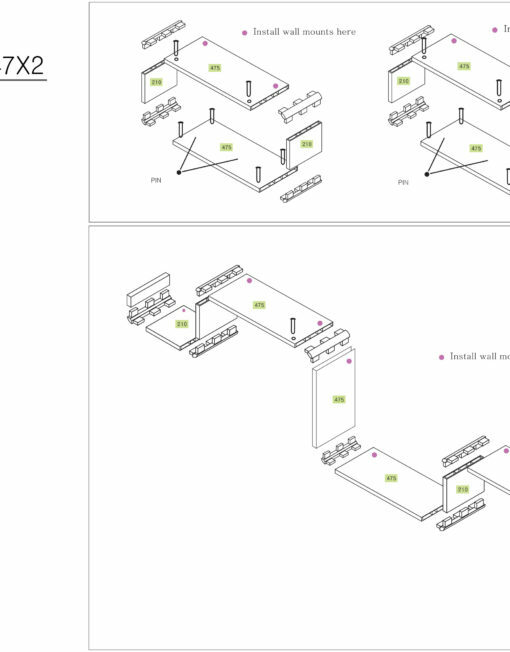 What’s even better, you can expand the modular designs almost infinitely by combining them with elements of another modular design. 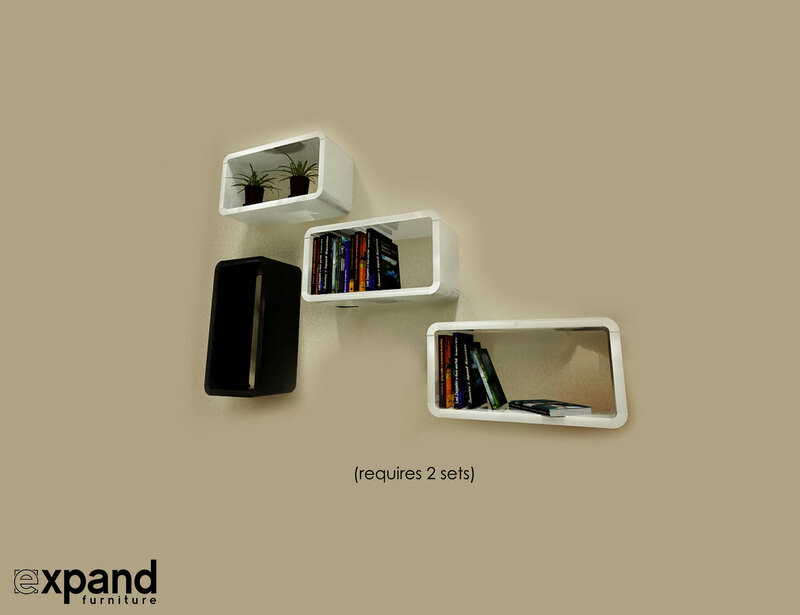 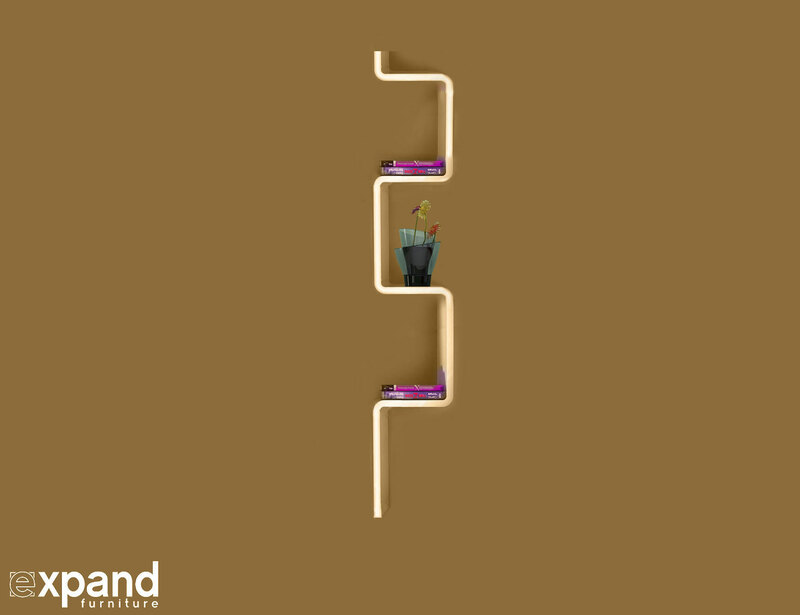 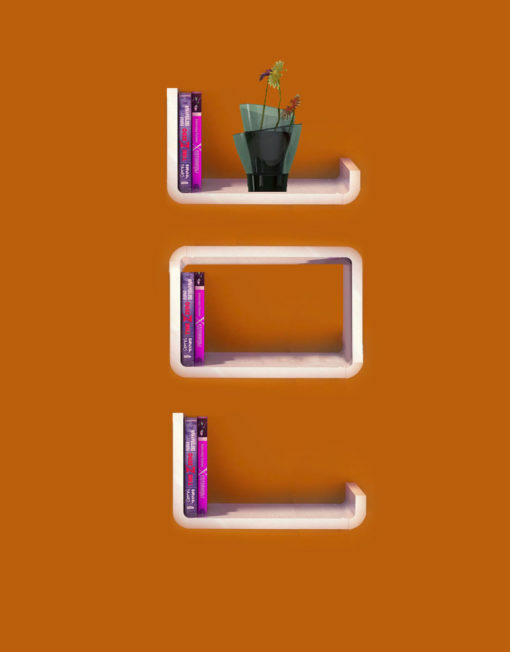 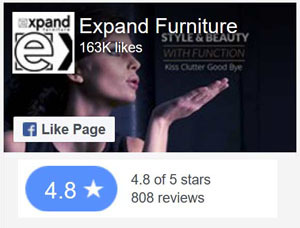 Create your own designs, or combine the ones we offer, but express your personality with Expand’s modular wall shelves and bookcases. 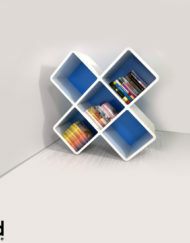 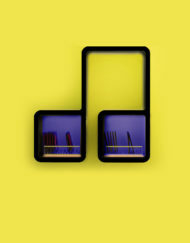 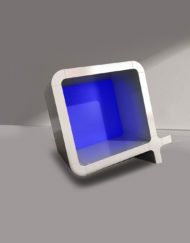 Each Rectangle of the original design is 54.5cm wide (21.45 inches) x 28cm tall (11 inches).